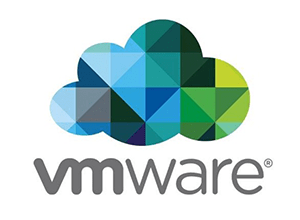 I joined VMware in June of 2015 as a member of the internal private cloud architecture team. At the time, it was my first full-time role as an architect and I was extremely excited to both have the opportunity to improve my skills as an architect and join the VMware family. During my tenure on the team, I have been able to grow my skills immensely, work with amazing team members who mentored, coached, and taught me how to be a better ‘practicing’ architect. In May of 2017, I earned my VCDX certification – a major accomplishment both personally and professionally. Since earning that certification, I have become a VCDX panelist and begun handling the VCDX Online Workshops to help other candidates be successful within the program. Through the program I’ve met even more great architects within VMware, and unbeknownst to me, I met my future boss Joe Silvagi. I am excited to announce that starting September 1, 2018, I am moving internally to the Customer Success Architecture team, focused on VMware HCI technologies (vSAN, VCF, and VVD). I am looking forward to being able to leverage the operational experience I have gained over the past 20+ years to directly help customers be successful utilizing the VMware SDDC and HCI technologies within their environments. I want to take a brief moment and thank several people — Brian Smith, Tom Ralph, Simon Long, John Tompkins and Lyubo Lyubenov — whom I’ve had the pleasure of working closely with the past 3 years at VMware. Without them I would not have been ready to take this next step in my career. While I will continue to maintain the Virtual Elephant site, you’ll likely notice a shift in the content to be more focused on these technologies. I look forward to sharing my experiences with all of you.